Gordon Homes, a Certified Financial Planner will be speaking on Financial and Estate Planning on Monday, April 16th, 2018 at 6 PM. This event is for ALL parents! Ensure that what you have is left to your children, whether that be items within your home, property or money. He will discuss many topics including the difference between wills and trusts as well as issues related to special education, such as waivers and guardianship. Everyone will learn something! 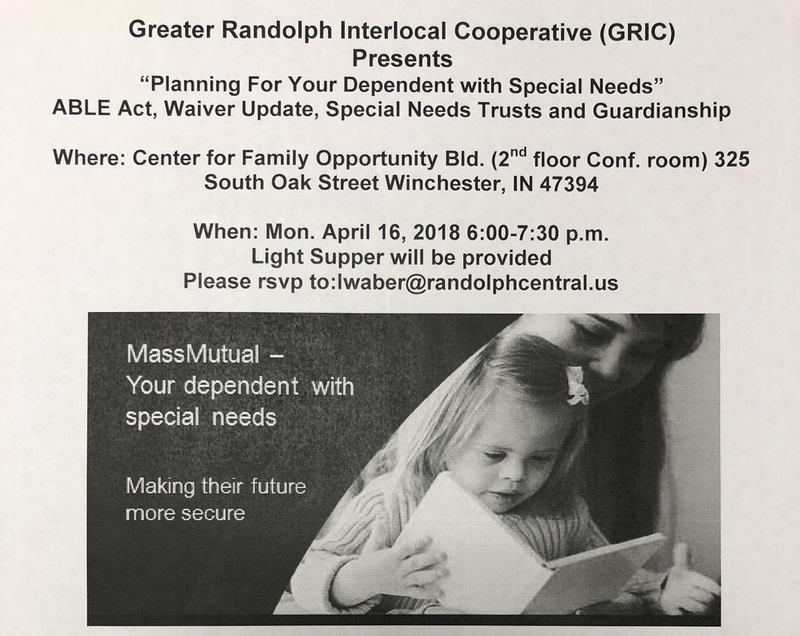 RSVP to lwaber@randolphcentral.us as a light supper will be provided.